Pasture raised chicken is back. On Wednesday, Farmer Betsy and Farmhand Sid took 84 chickens to our Amish friends in Wayne County. 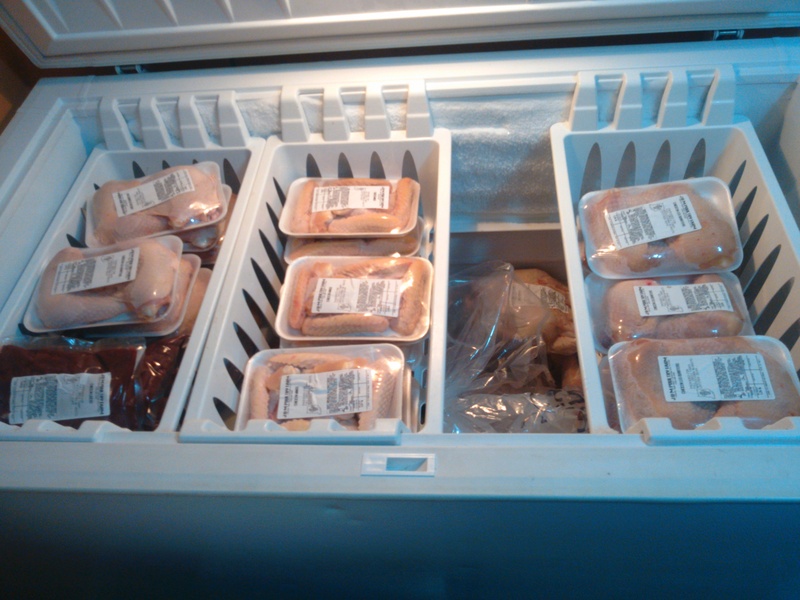 Now we have a freezer full of whole chickens and packaged wings, leg and thigh quarters, and boneless breasts. We also have a few packages of livers. 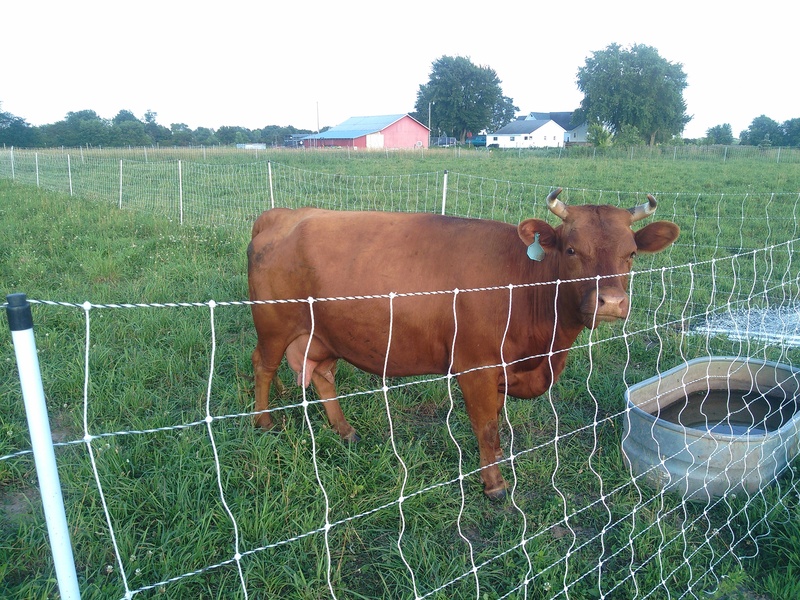 Friday, July 11, 4:00 p.m. – 7:00 p.m – Farm to Fork Market at Normandy Farm (79th & Marsh Road) – We’ll have eggs, pastured ham steaks, and pastured chicken. We’ll also have a few special lamb cuts. Betsy’s Kitchen will be bringing Paleo goodies and granolas. Betsy will also continue to bring her Guinea Girl lotions, body butter, herbal salves, and lip balms. Saturday, July 12, 8:00 a.m. – 11:00 a.m – Zionsville Farmers’ Market (Main St. & Hawthorne) – We’ll have eggs, pastured ham steaks and pastured chicken. We’ll also have a few special lamb cuts. Betsy’s Kitchen will be bringing Paleo goodies and granolas. Guinea Girl products will not be sold at this market. Tuesday, July 15, 4:00 p.m. – 7:00 p.m – Decatur Township Farmers’ Market (5106 S. High School Road) – We’ll have eggs, pastured ham steaks and pastured chicken. Betsy’s Kitchen will be bringing Palo goodies and granolas. Betsy will also bring her Guinea Girl lotions, body butter, herbal salves, and lip balms. 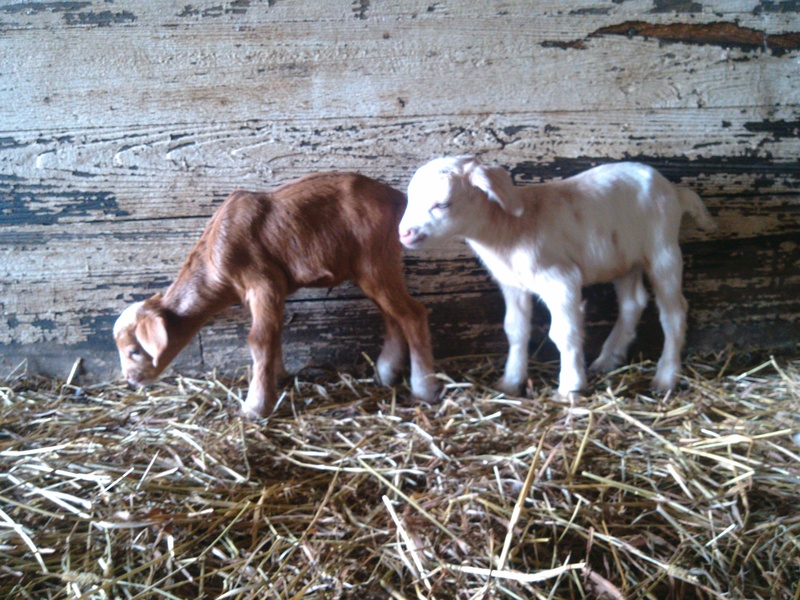 Last week you got to meet the new goat kids, Megan and Mark. A couple of days later, Doral our Dexter calf was born. Today, we had 200 more chicks delivered. It’s been a fun week. Enjoy the 4th! Friday, July 4, 4:00 p.m. – 7:00 p.m – Farm to Fork Market at Normandy Farm (79th & Marsh Road) – We’ll have eggs and pastured ham steaks. Betsy’s Kitchen will be bringing Paleo goodies and granolas. Betsy will also continue to bring her Guinea Girl lotions, body butter, herbal salves, and lip balms. Saturday, July 5, 8:00 a.m. – 11:00 a.m – Zionsville Farmers’ Market (Main St. & Hawthorne) – We’ll have eggs and pastured ham steaks. Betsy’s Kitchen will be bringing Paleo goodies and granolas, granolas. Guinea Girl products will not be sold at this market. Tuesday, July 8, 4:00 p.m. – 7:00 p.m – Decatur Township Farmers’ Market (5106 S. High School Road) – We’ll have eggs and pastured ham steaks. Betsy’s Kitchen will be bringing treats. Betsy will also bring her Guinea Girl lotions, body butter, herbal salves, and lip balms. Farmer Betsy has been sharing pics with our Facebook (https://www.facebook.com/fullcircle.farm.5) friends so I thought I should share them on the website too. Shelby had her kids, one doe and one billy. They were born on Wednesday and named Mark and Megan, after my stepfather and our niece, who celebrated birthdays on the same day. 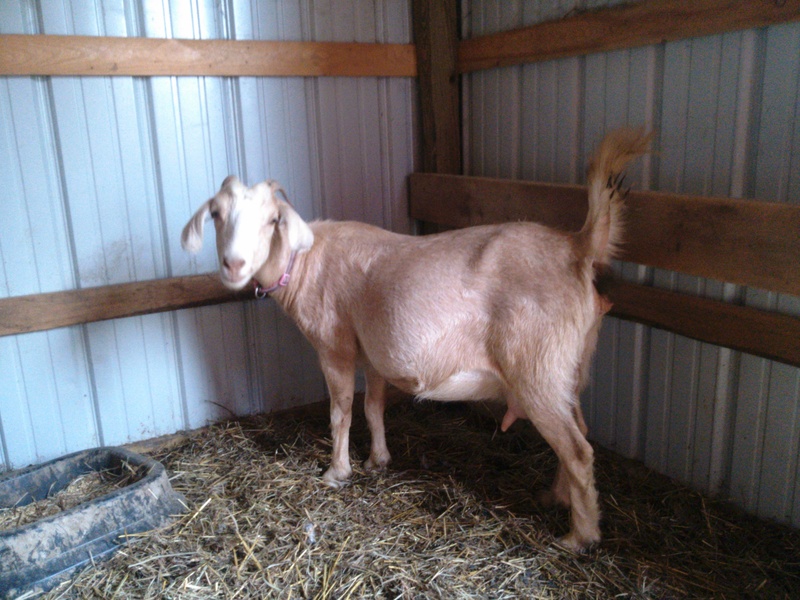 Now we get to wait on Daisy, who looks like she’ll pop anytime too. Friday, June 27, 4:00 p.m. – 7:00 p.m – Farm to Fork Market at Normandy Farm (79th & Marsh Road) – We’ll have eggs and some pastured pork. Betsy’s Kitchen will be bringing granola, granola bars, Paleo Carrot Cake, Paleo bread, and Paleo Almond Delight Bars. Betsy will also continue to bring her Guinea Girl lotions, body butter, herbal salves, and lip balms. Saturday, June 28, 8:00 a.m. – 11:00 a.m – Zionsville Farmers’ Market (Main St. & Hawthorne) – We’ll have eggs and some pastured pork. Betsy’s Kitchen will be bringing granola, granola bars, Paleo Carrot Cake, Paleo bread, and Paleo Almond Delight Bars. Guinea Girl products will not be sold at this market. We won’t be selling at the Decatur Township Farmers’ Market (5106 S. High School Road) but please visit anyway. I know I missed a post last week. Besides being crazy busy (I know. Who isn’t? ), I’ve been waiting for Shelby to pop some kids. Two weeks ago we were looking at her and saying “Any day now” but she just keeps holding on and getting wider and wider. How many does she have in there? Maybe next week we’ll know. Friday, June 20, 4:00 p.m. – 7:00 p.m – Farm to Fork Market at Normandy Farm (79th & Marsh Road) – We’ll have lots of eggs and some pastured pork. Betsy’s Kitchen will be bringing granola, granola bars, Paleo Spicy Chocolate Cake, Palo bread, and Paleo Almond Delight Bars. Betsy will also continue to bring her Guinea Girl lotions, body butter, herbal salves, and lip balms. Saturday, June 21, 8:00 a.m. – 11:00 a.m – Zionsville Farmers’ Market (Main St. & Hawthorne) – We’ll have lots of eggs and some pastured pork. Betsy’s Kitchen will be bringing granola, granola bars, Paleo Spicy Chocolate Cake, Palo bread, and Paleo Almond Delight Bars. Guinea Girl products will not be sold at this market. Tuesday, June 24, 4:00 p.m. – 7:00 p.m – Decatur Township Farmers’ Market (5106 S. High School Road) – We’ll have lots of eggs and some pastured pork. Betsy’s Kitchen will be bringing treats. Betsy will also bring her Guinea Girl lotions, body butter, herbal salves, and lip balms. Our morning ritual is nothing like My Morning Ritual. Ours includes two Full Circle Farm eggs or egg whites topped with either Fermenti Artisan or Borre Bothers ferment. Add a fresh smoothie or a glass of “fresh” milk. 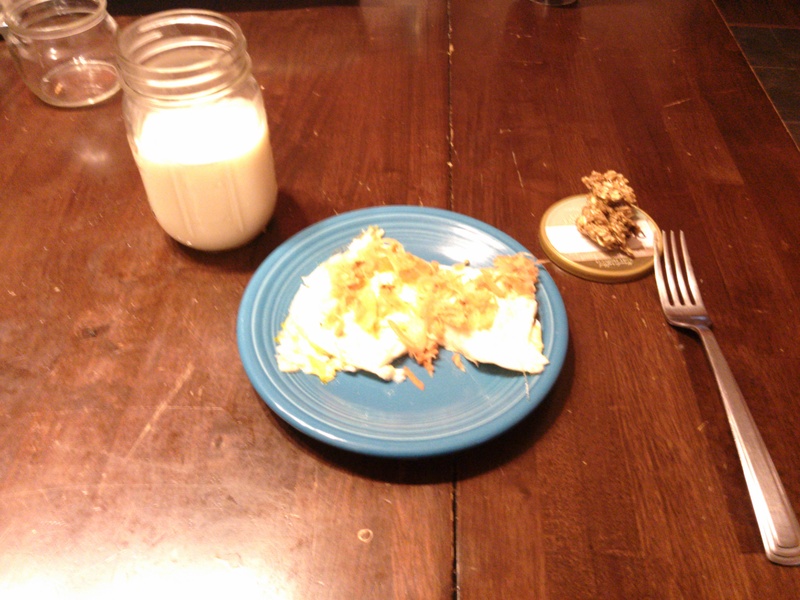 This morning I also added a homemade granola bar. Follow everything with a mug of organic tea or coffee. Each item is available for less than $1. 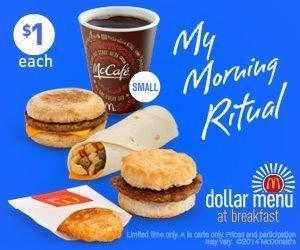 What’s your morning ritual? Friday, June 6, 4:00 p.m. – 7:00 p.m – Farm to Fork Market at Normandy Farm (79th & Marsh Road) – We’ll have lots of eggs and some pastured pork. Betsy’s Kitchen will be bringing granola, granola bars, and Paleo Almond Delight Bars. Betsy will also continue to bring her Guinea Girl lotions, body butter, herbal salves, and lip balms. Tuesday, June 10, 4:00 p.m. – 7:00 p.m – Decatur Township Farmers’ Market (5106 S. High School Road) – We’ll have lots of eggs and some pastured pork. Betsy’s Kitchen will be bringing granola, granola bars, and Paleo Almond Delight Bars. Betsy will also bring her Guinea Girl lotions, body butter, herbal salves, and lip balms. We will not be at the Zionsville Market this week. We have yet another graduation, this time the farmers’ son graduates from high school. Please visit though. I understand it is Strawberry Shortcake Day (Saturday, June 7, 8:00 a.m. – 11:00 a.m – Main St. & Hawthorne). I’ve decided we are going to start a new exercise program on the farm. You can get your strength training through carrying 50 pound bags of feed and 5 gallon buckets of water. You’ll get your cardio traipsing through the field, running from incoming hail storms, or swinging a corn knife at the thistles. You can complete your yoga routine or meditation in the peace of the field near the animals or underneath the willow tree. You’ll build character exercising in the heat, cold, rain, sun, and snow. The fee for the program will be $10 per week. The payment of the fee must be through the purchase of items produced on Full Circle Farm. Participation will be at your own pace. Coaching and goal-setting will be available as needed. We won’t promise that you will become buff and muscular but your participation will open the door to a healthful lifestyle and allow you to be part of the process of the farm and your food. Friday, May 30, 4:00 p.m. – 7:00 p.m – Farm to Fork Market at Normandy Farm (79th & Marsh Road) – We’ll have lots of eggs and pastured pork. Betsy’s Kitchen will be bringing granola, granola bars, and Paleo Almond Delight Bars. Betsy will also continue to bring her Guinea Girl lotions, body butter, herbal salves, and lip balms. Saturday, May 31, 8:00 a.m. – 11:00 a.m – Zionsville Farmers’ Market (Main St. & Hawthorne) – We’ll have lots of eggs and pastured pork. Betsy’s Kitchen will be bringing granola, granola bars, and Paleo Almond Delight Bars. Guinea Girl products will not be sold at this market. This week we will be participating in the GROW LOCAL ROOTS! event at the Indianapolis City Market Plaza from 2:00 – 4:00 p.m. This event is organized by the Indy Action Group and will precede the March Against Monsanto. These events are about more than local food and anti-corporate big food. These events are about food sovereignty. Regardless of your stance on organic or GMO foods, we should all have the opportunity to make that choice for ourselves. Yet, in 2011, a Wisconsin judge determined that we do not have a fundamental right to choose the foods we produce and consume. Just this week, the Grocery Manufacturers Association (GMA) announced it will file a lawsuit against Vermont to overturn their recently passed food labeling law. The GMA, in conjunction with Monsanto, has worked against similar laws in 30 other states. It is our right to choose! Friday, May 23, 4:00 p.m. – 7:00 p.m – Farm to Fork Market at Normandy Farm (79th & Marsh Road) – We’ll have lots of eggs and pastured pork. Betsy’s Kitchen will be bringing granola, granola bars, and Paleo Almond Delight Bars. Betsy will also continue to bring her Guinea Girl lotions, body butter, herbal salves, and lip balms. Saturday, May 24, 8:00 a.m. – 11:00 a.m – Zionsville Farmers’ Market (Main St. & Hawthorne) – We’ll have lots of eggs and pastured pork. Betsy’s Kitchen will be bringing granola, granola bars, and Paleo Almond Delight Bars. Guinea Girl products will not be sold at this market. Saturday, May 24, 2:00 p.m. – 4:00 p.m – GROW LOCAL ROOTS! Marketplace (Indianapolis City Market, 222 E. Market) – We’ll have lots of eggs and pastured pork. Betsy’s Kitchen will be bringing granola, granola bars, and Paleo Almond Delight Bars. Betsy will also bring her Guinea Girl lotions, body butter, herbal salves, and lip balms.